You must be a member of the Lausanne Arts & Culture Group to attend this activity. Would you like to join this group? 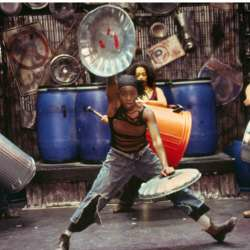 this time I am proposing you to go for a different art-field spectacle: a performance of The STOMP! and it is mandatory to write me a message Protected content for confirming your participation, receive instructions on the payment and make the payment by Mon 03 Dec. Looking forward to enjoying this amazing arts show together !! !